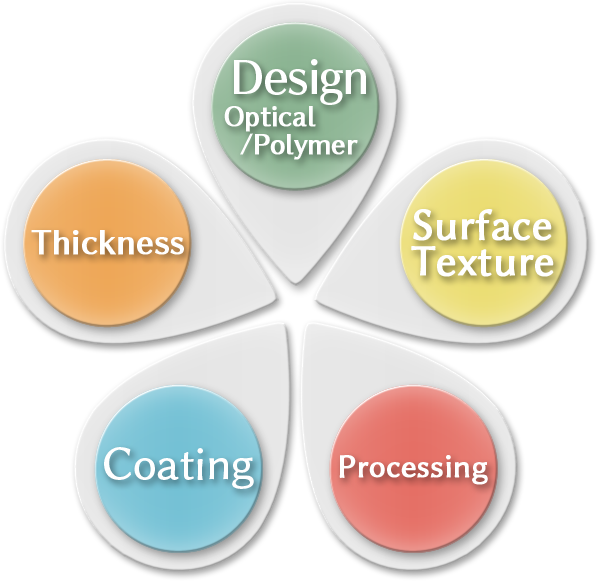 We customize or develop many customer requested products by combining our original Technology Platform described below. ・Spectrum Control … UV / NIR / Laser Scanner Filter etc. ・Light Distribution … HSOT LightGuide / Projection Screen etc. ・Heat Resistant PMMA / Low moisture absorption PMMA etc. You can choose different Non-Glare texture on one sheet.